Verkkomainen pinta kierrättää ilmaa. Istuinpehmuste on kevyt, matalaprofiilinen ja vesitiivis. Todistetusti toimivaa teknologiaa joka ottaa paineen pois istumalihaksista ja ehkäisee puutumista. This kayak gel cushion has a breathable mesh top that circulates air under the paddler. It is lightweight, has a low profile and is waterproof. The SKWOOSH™ secret is its medically proven fluidized gel technology that relieves pressure on the “sitz” bones and eliminates numbness. 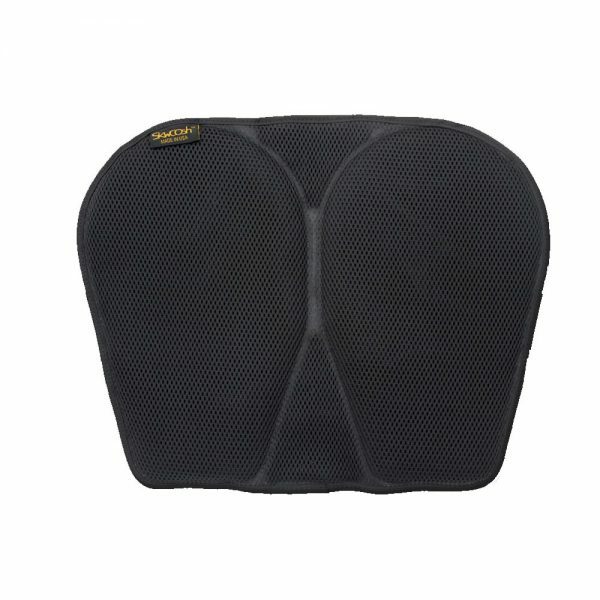 The unique design features a low mesh top fabric for cooler paddling and a super non-skid bottom that keeps the pad from moving even in wet conditions. It fits most kayaks and adds tons of cool comfort when used on factory seats.